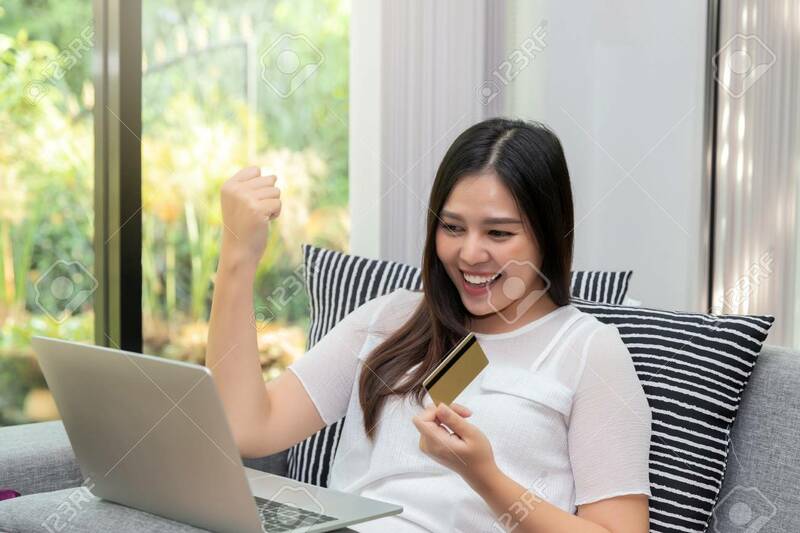 Happy Asian Woman Holding Credit Card In The Gesture Yes!. She Was Excited And Glad Of Success While Online Shopping. E-commerce And Modern Technology Concept. Lizenzfreie Fotos, Bilder Und Stock Fotografie. Image 116539911. Standard-Bild - Happy asian woman holding credit card in the gesture yes!. She was excited and glad of success while online shopping. E-commerce and modern technology concept. Happy asian woman holding credit card in the gesture yes!. She was excited and glad of success while online shopping. E-commerce and modern technology concept.